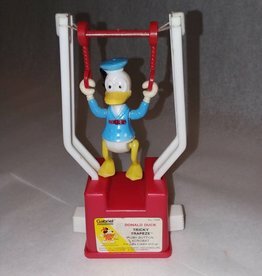 1975, Donald Duck Tricky Trapeze, push button plastic toy, Gabriel Industries, Inc., Works well w/very little wear to paint. 5.5"
1994. 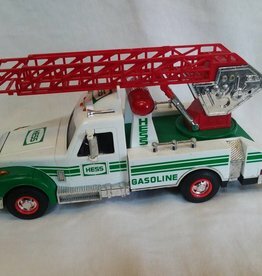 Hess rescue truck in original box. 1950's-60's. 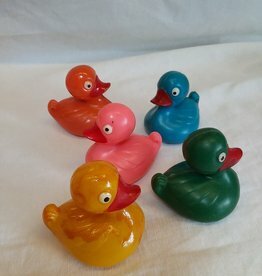 An assortment of plastic toy figures. 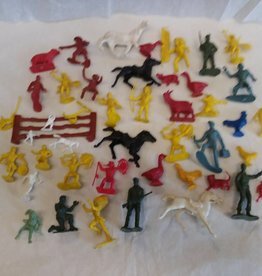 Cowboys, Indians, soldiers, farm animals, etc. 46 pieces in all. 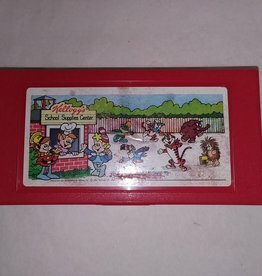 1980, plastic pencil box featuring many Kellogg characters (Snap Krackle & Pop, Tony the Tiger, Etc. ), Empire Pencil Co., Made in U.S.A., 8x4" A nice Kellogg collectable.